Ships tomorrow if you order in the next 20 hours 9 minutes. Shark cartilage (sourced from the skeletons of sharks) contains a number of compounds like glycoproteins and proteoglycans that may help support overall health and wellness. 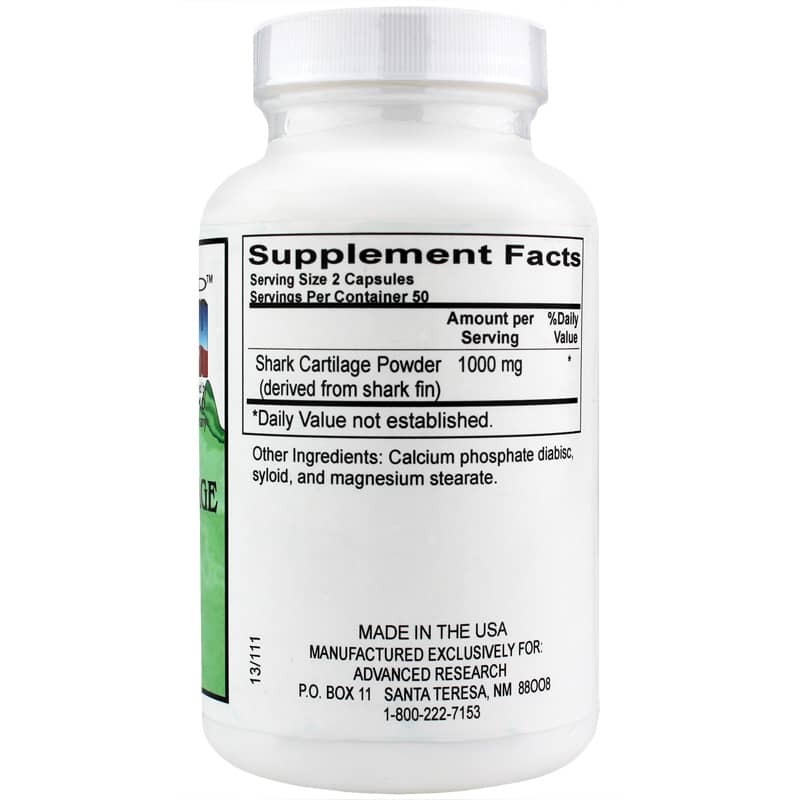 If you're looking to reap the possible benefits, Shark Cartilage from Advanced Research may be the ideal supplement for you. 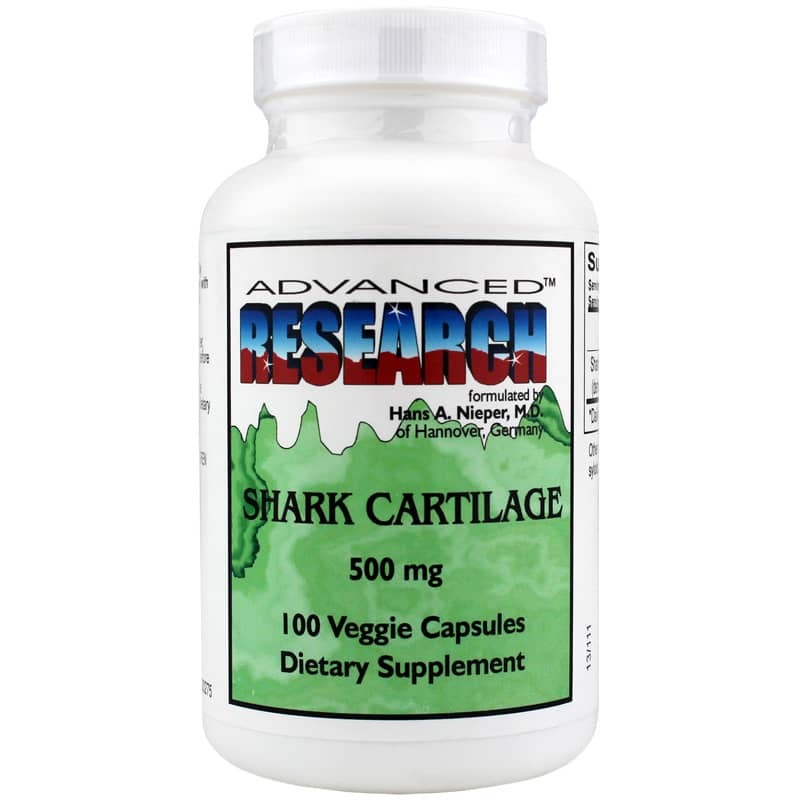 Shark Cartilage from Advanced Research comes in a capsule for that is easy for adults of all ages to swallow. Just two capsules taken three times every day may be able to help you continue down the all-natural path toward optimal health and an increased sense of wellness. Order yours now! Other Ingredients: calcium phosphate, diabisc, syloid and magnesium stearate. 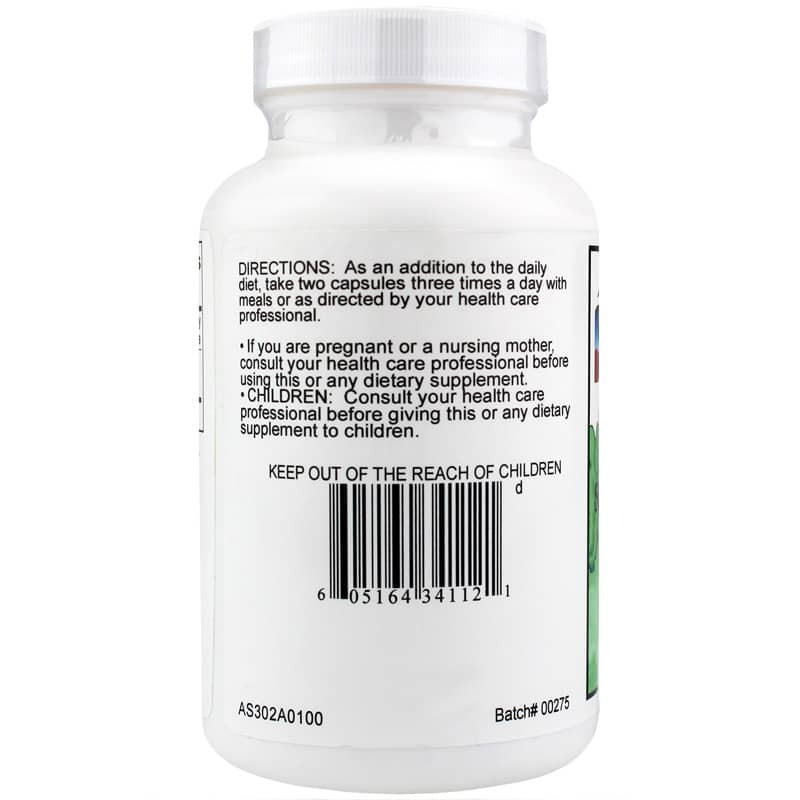 Adults: As a dietary supplement, take 2 capsules 3 times a day with meals or as recommended by a healthcare professional.